Prepare the blackberry layer - In a small bowl, mix gelatin and jelly crystals in hot water and stir until dissolved. Stir in blackberry liqueur. In a small baking dish, pour a few drops of cooking oil and coat the pan using paper towel. Pour blackberry mixture in and chill for at least two hours (up to overnight) in the refrigerator. Make sure the tray is level. 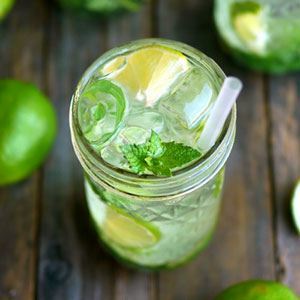 Prepare the bottom layer - After you have juiced lemons and set juice aside, roughly chop squeezed hulls and place them in container along with gin and lemon juice. 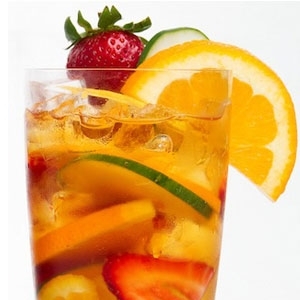 Cover and leave at room temperature for at least 2 hours. 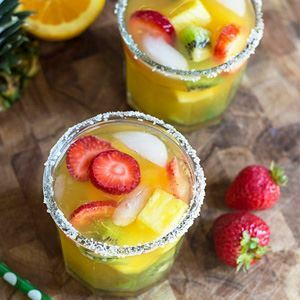 Once berry layer is firm, bloom remaining gelatin in hot water until dissolved. Add sugar and stir. Strain gin mixture from lemon hulls through a fine sieve and add to gelatin mixture, stirring well. Over a spoon, pour lemon mixture onto jellied berry later and return to refrigerator, making sure tray remains level. Chill overnight. 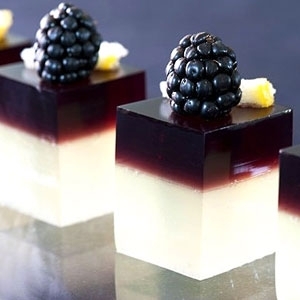 Once set, cut jelly shots into squares and top with bramble berries and candied lemon before serving. Recipe adapted from Toby Cecchini.